Norman Birch (65), a fitter in Engine Test, Canley, retired after 29 years’ service. Norman joined during the last war and worked at Anstey on Mosquitos under the late Walter Rubley. Afterwards he helped build engines until moving to testing, 12 years ago. 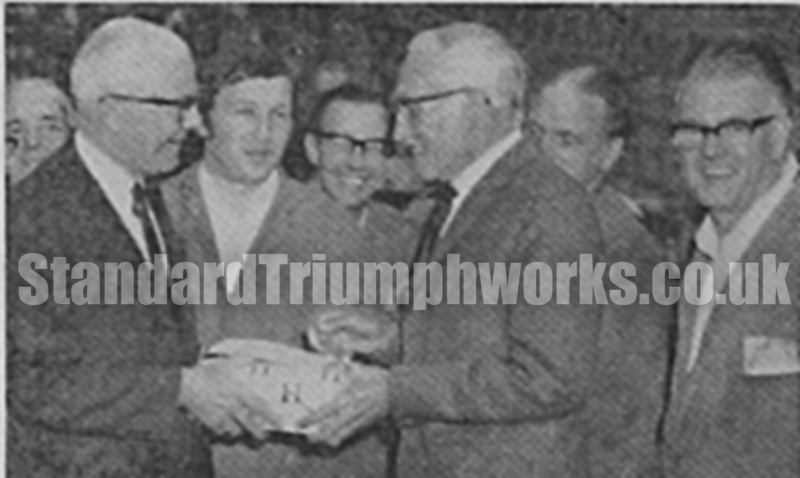 From the Engine Shop, Mr H. Woodfield, Deputy Superintendent, presented Norman with a sum of money and a battery clock. Mr & Mrs Birch live in Humber Avenue, Coventry. Norman has a Triumph Vitesse and is keen on fishing and bowls.